here's a thursday list for you. i love lists, you know. 1) i am so happy to hear that many of you want to say something similar to what i said to the woman at michael's. i encourage you to do so. you will feel like superwoman for a hot second, and then you remember who you really are, and what you really just said, and almost wet yourself. does anything sound better? do it! 2) thanks for lovin' on my new do. my aunt (happy birthday to the best aunt in the entire world!) said this when she saw it… "oh, okay. so it's just lighter from there down?" and points to the middle of my head. yep, that would ombre. for some reason i love this. some strange, strange reason. in all different photo effects, mind you. straight faced, looking drugged even, snowman pajamas, fist to the camera, sticking it to the man. i can hardly even look at this picture without crying from laughing so hard. 5) my children have no idea who santa claus is. kinda cracks me up. brody saw a GIANT santa claus outside of lowe's the other day and he's all, "what is THAT, mom?" "oh that's a big balloon man, honey." he smiles and nods. 6) if you are still pondering over what to buy me for christmas, i will take a gift certificate for the signature facial here. thankyouverymuch. i've never had a facial and homegirl needs it. they clean your pores out. do i need to say more? 7) i will also take this and this. okay, i'm done. 8) the boys each get one gift from us for christmas. but this year, i splurged and bought two gifts each. only because i saw a peppa pig and george beanie baby on amazon. peppa pig... please tell me you know this show? brody watches it almost every day after his rest time while foster is still napping. it is only on a half hour each day and apparently none of their paraphenelia is sold anywhere in the united states. what in the world? so, i ordered these two little beanie babies, one for each of the boys, around thanksgiving. there was no tracking and they weren't scheduled to arrive until january, cause they were coming from england or somewhere around there. well, my friends, they arrived, and the boys are gonna go cra-zay for these things. brody has talked in a full blown english accent since the day he first watched peppa and her piggy goodness. 9) so excited make some little gingerbread houses with the boys this morning. and then saturday we are going to see a christmas light spectacular. i actually just made that name up but, we are going to put ourselves and kids on a bus and drive around looking at a whole bunch of lights. i love seeing the boys experience all things christmas. it's magical. 10) tomorrow i will be blogging about the scarfament swap. yeehaw! get your posts ready, y'all, cause you know there will be a link up. 11) these four books are on my to read list: cold tangerines, bittersweet, because He loves me & give them grace. so excited about each of them. 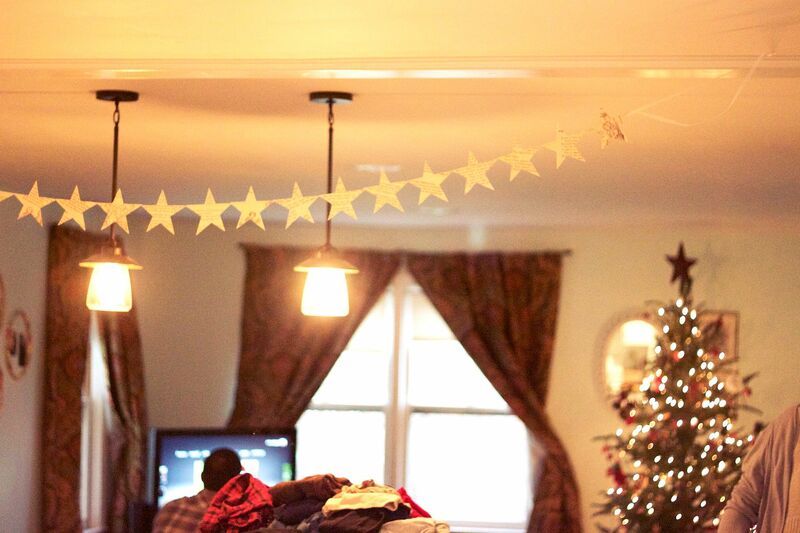 12) my vintage story book garland from cotton + wood was just the finishing touch that our little house needed for christmas. isn't she darling? i love the vintage images and words on each page, the perfect cut stars, and that the whole bunting is sewn together. i am already thinking about where i am going to place this beauty after the holidays. around the map that will be soon hanging our living room wall? in our baby girl's room? over the window in the kitchen? the possibilities are endless! get yours here. 1. i just got that chair and piper swiftly took it over as her own the moment i pulled it out of the box. girlfriend has the same taste as us, apparently. 2. read cold tangerines and loved it. now i want to read it again so we can talk about it. 3. i'm started reading give them grace a month ago and need to pick it up again. get it so we can read it together, mkay. Cold Tangerines and Bittersweet will change your life. Awesome isn't even adequate. Sooooo good! 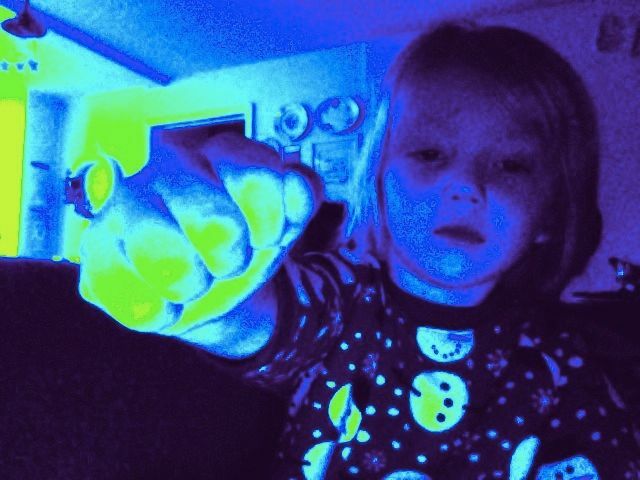 oh my gosh cracks me up about the photobooth pics. Noah does the exact same thing! lol i have like literally hundreds of pictures of him and most of them look exactly the same. :) love this post and all of your thoughts! cold tangerines & bittersweet are both so great. i love her writing! when my son was brody's age he would talk in an english accent. pretty sure he was trying to be like obi wan kenobi though. you are funny. yes you are. Isn't it a gift to have children to laugh at? I love the quirky things my sweet girl does...such a blessing. I just finished Bittersweet...so great. I'm hoping to pick up Cold Tangerines sometime in the near future.